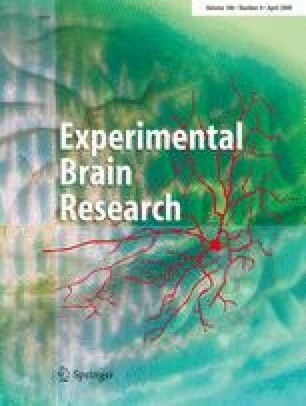 To clarify the roles of the basal ganglia in time perception, single-unit activity was recorded from both sides of the striatum of a monkey performing a duration discrimination task. In the task, two visual cues were presented successively in different durations (0.2∼1.6 s). Each cue presentation was followed by a 1-s delay period. The subject was instructed to choose a longer presented cue after the second delay period. There were two types of trials for sequence of cue duration, the long-short (LS) trials in which the first cue (C1) was longer than the second cue (C2) and the short-long (SL) trials in which the C1 was shorter than the C2. Striatal neurons phasically responded during the first delay (D1) and second delay (D2) periods. Responses during the D1 period changed depending on C1 duration. Activity of populations of D1-response neurons correlated with C1 duration positively or negatively. Responses during the D2 period differed between the LS and SL trials. Activity of population of D2-response neurons also changed depending on C2 duration. But the dependence on C2 duration was affected by the trial type, that is, whether the C2 was longer or shorter compared to the C1.These findings suggest that striatal neurons could encode cue durations with monotonically changing responses in the D1 period and discrimination results between the two cue durations in the D2 period. We thank the technical staff of the Life Science Institute of Kinki University for animal care. Grants This work was supported by grants from the Ministry of Education, Culture, Sports, Science, and Technology of Japan (17021039, 18500314, 19500230), and the Cooperation Research Program of the Primate Research Institute of Kyoto University.